Straightening your hair too often can cause hair breakage and split ends. But thanks to the tourmaline infused titanium plates of the hair straightener,and the FAR infrared and ionic technology, your hair won’t get burnt and they will be softer, healthier and shinier.Get ready to hear some compliments! The Sutra Beauty hair straightener is digital and it can heatup to 450 degrees Fahrenheit. You can easily adjust the temperature of the hair straightening iron based on the type of hair you have and the hairstyle you’re trying to achieve. This may be a technologically advanced flat iron, but it is very easy to use! Are you in a hurry to fix your hair and go to work? Thankfully, the Magno Turbo hair straightener heats up in no more than 5 seconds, so you will be able to straighten your hair as soon as you plug it in! And once your hair is straight and flawless,unplug the flat iron and be sure that it won’t take long to recover! 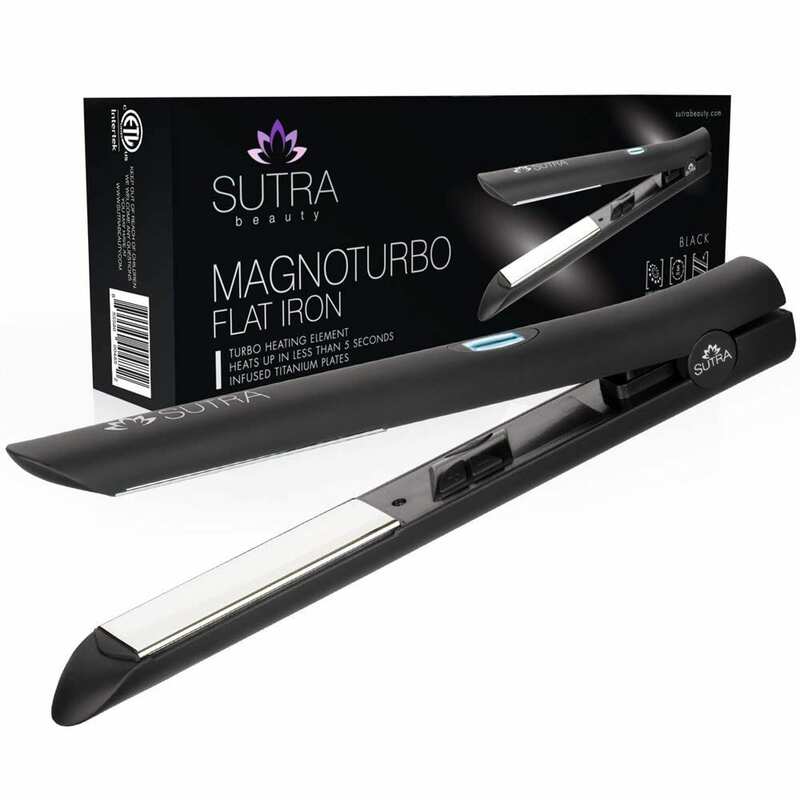 Sutra Beauty has designed the sleekest, slimmest and most stylish hair straightener with the most unique color! The Magno Turbo flat iron model has extended edges so that your head and hands won’t get burnt while you use it. At the same time, the hair straightening tool is very lightweight for maximum maneuverability.